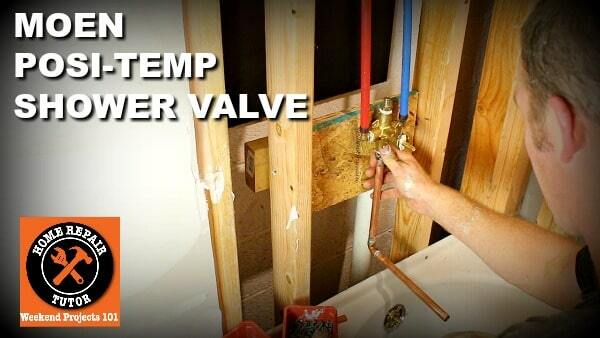 In today’s video you’ll see how to install Moen shower valves, specifically the Posi-Temp valve. What mistakes can be make this a nightmare? There are many and that’s why we made the step-by-step video. What Does Moen Posi-Temp Mean? What happens when the toilet is flushed while someone takes a shower (and I’ll be the first to admit this happens all the time in our home!)? Toilets use cold water and reduce cold water flow from shower valves. Thus, it’s easier to get scalded from hot water when the toilet is flushed. Moen Posi-Temp shower valves are pressure-balancing. The valve on the Posi-Temp shower faucet balances pressure to maintain a consistent water temperature if the pressure from hot or cold pipes increases or decreases. Balancing water flow and temperature makes showering more comfortable. That’s how the Moen Posi-Temp works in a nutshell! Step one is to determine if the tub spout requires copper or threaded pipe. In this example the spout needed just a straight piece of copper. Moen shower valves have specific tips for how long the copper should be that extends from the bottom of the Posi-Temp valve. Solder copper pipes together for the tub spout and allow them to cool. Then connect them to the Posi-Temp valve using teflon tape. Step two is to figure out how deep to set the Moen valve inside the stud wall. This is SUPER important. If shower valves are too deep or too shallow this will affect the look of the trim kit. Most tile backer boards like cement board, KERDI-BOARD, Hydro Ban Board, and Wedi are 1/2″ thick. Using liquid waterproofing membranes like RedGard also add another layer of thickness, so don’t forget that. One these variables are know then wood blocking can be set inside the stud wall. Finally, Moen shower valves allow the use of PEX and copper pipes. That makes installation much MUCH easier because crimping PEX connections is simpler inside shower walls versus soldering copper. Moen shower valves are just one part of our latest bathroom remodel. 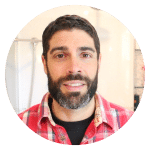 If you’re doing a shower remodel with a bathtub and also need to learn how to tile shower walls this course will be a HUGE help. Thanks for the insightful tips.